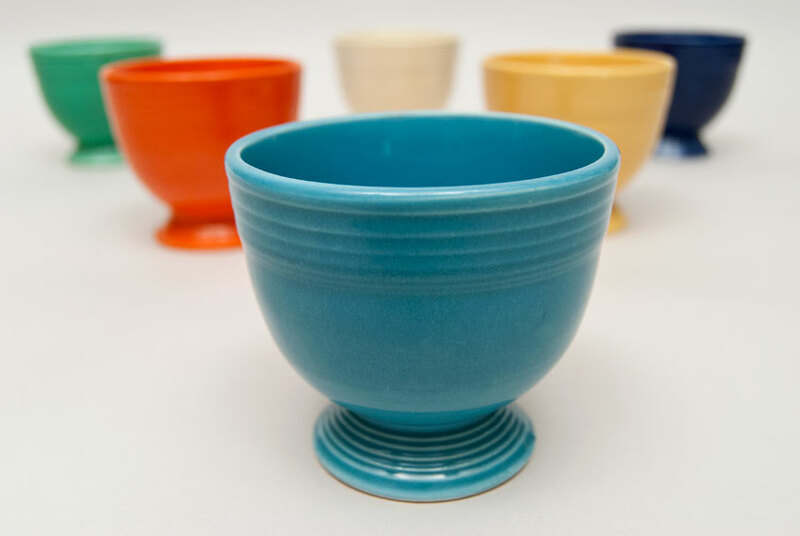 Circa 1937-1959: Within the first year of fiesta production, designer Frederick Rhead had created fourteen new pieces for the line. 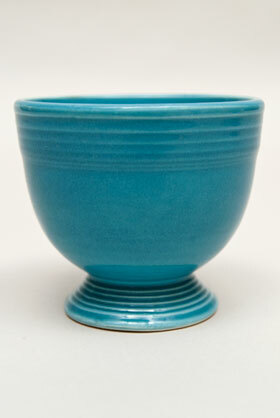 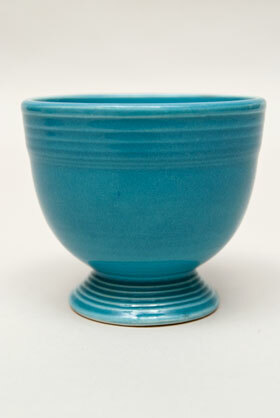 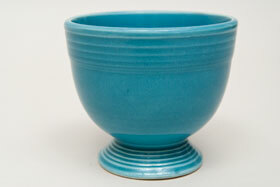 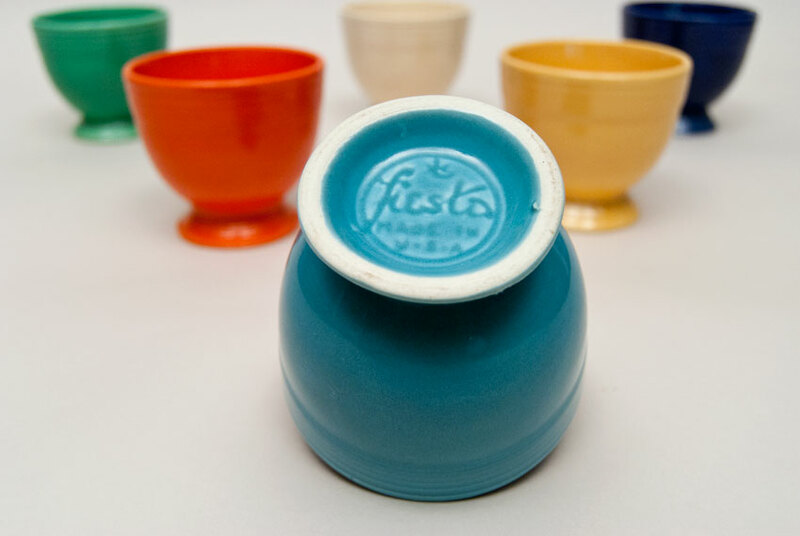 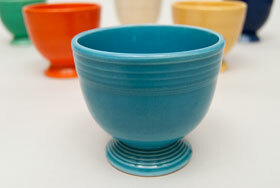 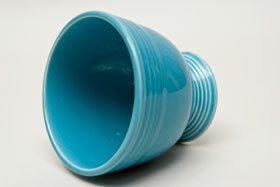 The Fiesta egg cup was among these new editions for the quickly popular dinnerware. Excellent condition showing no use and nice glaze. 3 1/2" wide x 3 1/8" tall. Marked in mold fiesta Made in USA with a hand applied foot.